Diffusers are my favorite way to enjoy essential oils. They are such a fantastic replacement for chemically loaded commercial air fresheners and provide the perfect all natural way to make your home smell amazing. There are TONS of diffusers to pick from and many of them are pretty similar, so it can be tough to decide which one to buy. The more options, the harder it seems to be to decide. This guide was designed to help you understand what features to look for and how to pick the best diffuser for you. Here are the top things to think about before buying a diffuser to make sure you get one you’re happy with. Why Are You Using a Diffuser? 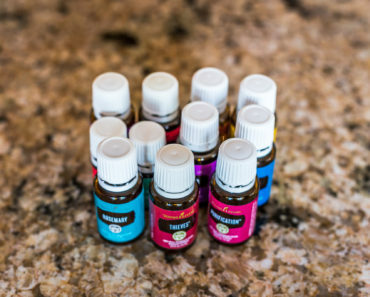 Some people diffuse essential oils to help reduce stress and to make their house smell good, while others use essential oils for health purposes. Depending on why you want to use the diffuser can help you pick the right one that makes sense for you. If you are using oils for their therapeutic benefits then you’ll want to go with an ultrasonic or nebulizing/atomizing diffuser. 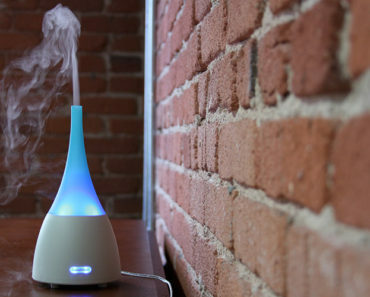 The nebulizer diffuser is the most effective and pure way to diffuse essential oils, but it is also the most expensive. It doesn’t use heat or water, it just diffuses pure essential oils into the room. Some shady companies use the word nebulize in the title of the product on Amazon but they aren’t actually nebulizing diffusers, they’re ultrasonic. You can catch this lie by seeing if they have a water measuring cup in the photo or mention water or mist anywhere on the product page. Here is an example of a misleading diffuser that is not a nebulizer. Heat changes the properties of the essential oils, so if you are seeking health benefits then you’ll definitely want to avoid these types of candle lit and heat diffusers. If you just want the house to smell good, then it doesn’t matter as much. Will you be using the diffuser in your bedroom to help you fall asleep? Or maybe in a nursery for nap time? Many diffusers beep when they shut off, so this is something to watch out for when you’re shopping for diffusers. If you’re a the kind of sleeper like me who just conks out and sleeps like a rock, then it’s not a big deal. If you’re a light sleeper, however, then you wouldn’t want a beeping to disturb you. Check the product details and reviews of the diffusers you look at to see whether or not it beeps when it shuts off. Ultrasonic Diffusers are generally pretty quiet but have a little white noise to them and some occasional water gurgling. How long do you want your diffuser to run? Different types of diffusers run for varying lengths of time and have settings like run for 1 hour, 3 hours or run continuously until the oil is out. Some even have an intermittent setting so it will run for 2 minutes on and then 1 minute off. The intermittent setting is nice if you want to run the diffuser for a long time and use less oil. Nebulizing diffusers typically run for 2-3 hours max so you could get one nebulizing for therapeutic use and then also buy an ultrasonic diffuser to run all day when you want the house to smell nice. If you want to run it all day then you’ll want to get a 300ml or bigger ultrasonic diffuser. If you’ll only use it for a few hours at a time then the smaller 150ml diffusers will be just fine. Many ultrasonic diffusers have brightly colored lights that rotate through different colors. Some are more natural looking with wood, while others are all plastic and the entire diffuser glows with a light. Check out the pictures below to see examples of the changing LED colors. If you want to use the diffuser to fall asleep then you’ll want to make sure the diffuser has an option to turn off the lights completely. Most of them have a dim and bright setting as well as a rotating option or the ability to select your favorite color to stay on. In a dark room, the colors are pretty cool and make it look like mini volcano with the mist pouring out of the top. Some diffusers give you the option of a high and low mist setting so you can increase or decrease the strength of the scent. This is pretty handy if you want to move the diffuser from a big room to a smaller room and want less mist. Or if you put it by your bedside and want a lower subtle mist as you fall asleep that is less in your face. Some diffusers can be pretty pricey so it will be worth it to check if there is a warranty offered by the company before buying. 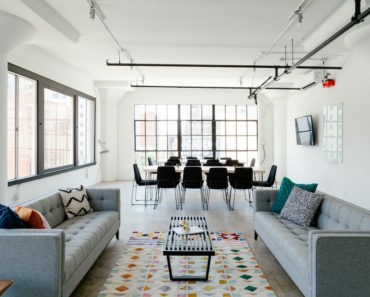 Some companies offer 1 or 2 year warranties that are good to know about in case it does break on you. The MLM companies especially can be really particular about their fine print of the warranties. DoTerra for example says that the diffuser warranty is voided if you use any essential oils that are not the DoTerra brand oils. So now you know what features to look for, what types of diffusers exist and hopefully have a good idea of what your diffuser wish list is. Here are our picks for some of the best diffusers by use case. The InnoGear 100ml ultrasonic diffuser is just under $20 and is a steal for this price point. It’s a reliable small diffuser that has a lot of great settings to customize your aromatherapy experience. This quiet diffuser is a fantastic choice that you can’t go wrong with. The Raindrop nebulizing diffuser is the perfect choice if you want to maximize the benefits of essential oils. This stylish glass diffuser is great for covering big areas (the manufacturer claims it can cover up to an 800 square foot area). 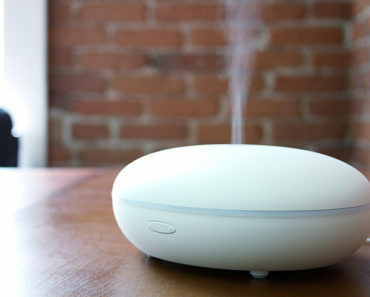 Unlike ultrasonic diffusers, this one works with all oils so you can diffuse citrus oils worry-free. Would you love to wake up to the scent of your favorite essential oils? This SpaRoom AromaTime Digital Alarm Clock Essential Oil Diffuser can give you a relaxing way to wake up every day by combining an alarm clock and diffuser all in one. You can set it to start misting your favorite oil at the time you want to wake up. Unfortunately, there’s no setting to turn off the alarm noise and just have the diffuser start in the morning (but let’s be honest, who can wake up without an alarm noise anyways?). It has a LED Time Display with the options of running continuously or for 30, 60, 120, and 180 minutes. The Housmile 200ml Ultrasonic Diffuser is great for sleeping because it’s one of the few diffusers that doesn’t beep when it automatically shuts off. It also runs extremely quietly so it’s your best bet for a diffuser to help you fall (and stay) asleep. This diffuser looks like glass but is actually plastic. Try a nice lavender and eucalyptus blend for helping you drift off peacefully. Still looking for more information to help you choose a diffuser? My advice is to first narrow it down by deciding whether you want a nebulizing or ultrasonic diffuser. Then check out these comparison guides for nebulizing and ultrasonic diffusers to help you choose a specific brand. Good luck! Don’t fret about all the options, as most of them will work just fine for you! Essential Oil Diffuser vs Humidifier – What’s the difference?